BPT108: Get free U.S. economy shipping by using code at checkout. 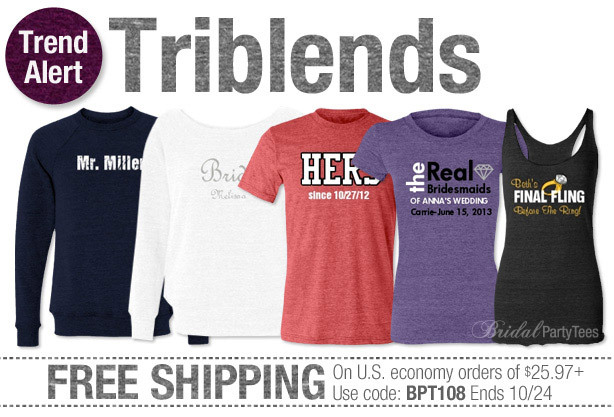 Have you seen our new triblend tops? They’re not only stylish, but oh-so-comfy as well! Each of the six new tops come in a variety of colors, so you’re sure to find one that meets your needs! Hurry, this offer ends 10/24/12 at 11:59 PM EST.